Our world is not quite like other worlds. The work isn’t work so much, as all-encompassing life. The time spent doing it is more intense than for other professions we laugh off as ‘real’ jobs. The people we work with are more than just colleagues. They become closer, more like family – an ever-shifting, ever-reforming theatrical family, often spread across all corners of a big wide world that the internet and easy air travel conspire to make feel like a tiny global village. When your time together on a show ends you might not see them for months, sometimes years. Like with many families, the next time you meet, you pick up right where you left off. Of course being a family means that when the unexpected happens, when the tragic happens, it hurts so much more. On August 18 we lost one of our international theatrical family, and it hurts. R2 – Richard Pacholski was his real name, but practically no one in theatre called him that – was an Australian lighting designer who spent his career looking after other designers as their shows came to Australia, then looking after their designs as the shows toured the world. He started with the Adelaide Festival Centre and Australian Ballet – the nickname came from being the second Richard – then he worked for Cameron Mackintosh, before going freelance. His biography is a list of theatrical greatest hits: Cats, Phantom of the Opera, Les Miserables, Mamma Mia!, Billy Elliot, Matilda. Harry Potter was next. Working with him, you immediately knew everything would be just fine. It was that big open smile and the twinkle in the eye. He always assembled a great team, and they worked hard – but everyone would have a great time along the way, inside and outside the theatre. A post-opening, lazy afternoon in a bar by a beach with a roaring fire and games of Jenga with the Australian theatrical family? I’m pretty sure he was behind that. He was adored by everyone he worked with, wherever he went in the world, which was pretty much everywhere. You never quite knew where you would see him next, but it was always lovely to see him there. His short, intense battle with cancer was a vivid reminder that the world is not actually that small. The electronic communication we think of as staying in touch suddenly felt worthless; those of us on this side of the planet would have given anything to have actually been there for him. Fortunately his – our – Australian theatrical family were there, as were his real family. But cancer is cruel. It has no respect for the love of friends, or for the vibrancy, the energy, the life that Richard always possessed. Sadly, he’s not the first we’ve lost and he won’t be the last. 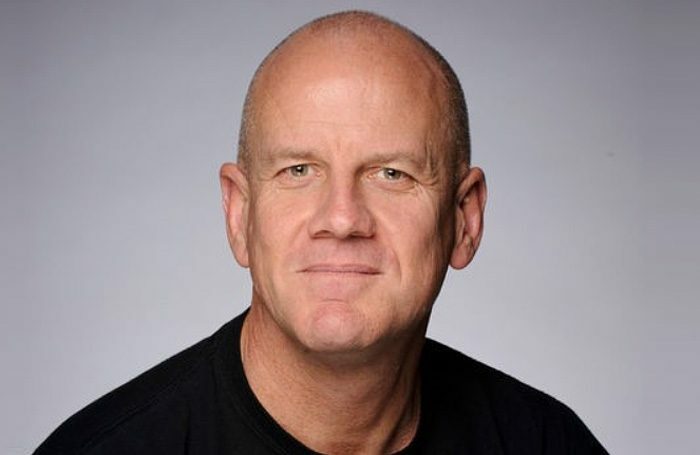 Maybe you didn’t know him, but I’m sure you knew and miss someone and so can understand the sadness those who did know this gentleman of theatre as our mate, in the best Aussie sense, feel right now.